Iana is winner of Star Bellydancer Canada 2014, International Competition Cairo by Cyprus 2015, and many more! Iana is top-ranked performer in Canada, who also has successful international career with performances in more than dozens of countries worldwide including Egypt, Turkey, Germany, Brazil, Bulgaria, USA, Cyprus, Hungary, Ukraine and many others. Iana is also one of the most requested guest performer of Persian dance styles at many events in the Iranian community of Ontario. 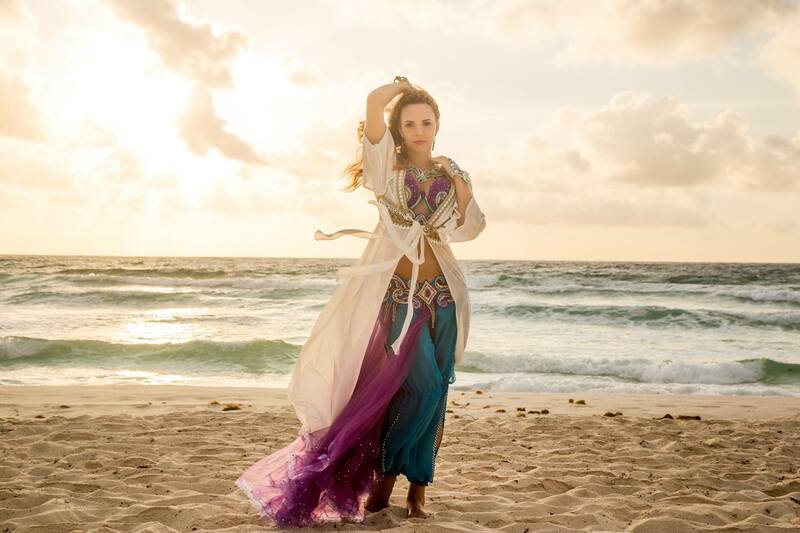 Read More..
Toronto based artist Iana Komarnytska. .
Professional belly dancer Iana Komarnytska based in Toronto, Canada. . Performed by Iana Komarnytska?, Toronto-based dancer, http://www.ianadance.com .